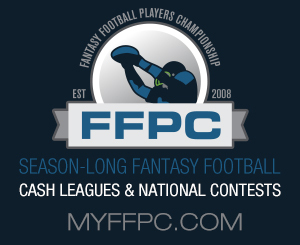 All 4,250 teams have been spoken for, and the FFPC Playoff Challenge is full, but there is still more action for you if you want to play! Check out our 2018/19 FFPC Playoff Mini Leagues. These are fantastic add-on leagues for more fun whether you already have entries in the larger Playoff Challenge or not. Enter as many times as you like and you will be placed in a new league each time. You only have a few hours left – register now! Enjoy playing in our FFPC Playoff Mini Leagues, everyone! Register now, and then it’s time to bring on the Wild Card games!